As I'm sure you've heard everyone else in Europe complain, it's very hot at the moment - and although it's still not nearly as hot by Australian standards, I've been staying out of the city all week to avoid the heat. It's lovely in the countryside at the moment and a lot of the days this week have been spent picking flowers with my grandfather. Some of you might have seen photos of his bouquets that I've posted on instagram and will already know that he has a great eye for composition when it comes to flowers! He is also very good at making flower crowns and tried to teach me to make some - but I am absolutely useless at it, no good at all - so he was very kind to make me this one from the daisies and clover in the field near our house. I got a lot of strange looks wearing one out and about and one person even asked if I was getting married! Unfortunately flowers are very quick to wilt once they've been picked so the flower crown only lasted a few hours, but even so I thought it looked so much more lovelier than artificial ones, even if they are more practical. Magnificently beautiful outfit and photos! You were born to wear shades of yellow, my sweet dear. Amazing dress - such a nice color, perfect for summer! Uh, most perfect dress ever. You look amazing! I feel like not a lot of fair white ladies can pull off yellow, but you do so marvelously! That dress is so pretty, and I love your flower crown. Simply beautiful! Such a beautiful setting! The flower crown your grandfather made is so pretty. What a great memory to have. 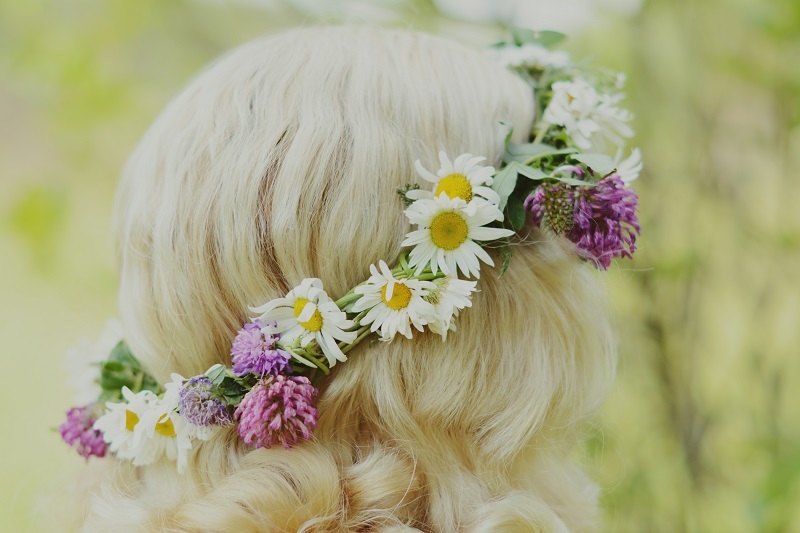 That is such a amazing story about picking flowers with your grandfather and him making and trying to teach you how to make the floral crown! <3 So sweet! And as always your photos are amazing. This dress and the flower crown are perfection on you!